First of all I am thankful to my Lord Jesus for making me a son so many years ago. I am thankful for my family who I will get to spend some time with today and tomorrow. And I am thankful for every pastor who has opened their pulpits to allow us to minister in their churches in the last 16 1/2 years of traveling. 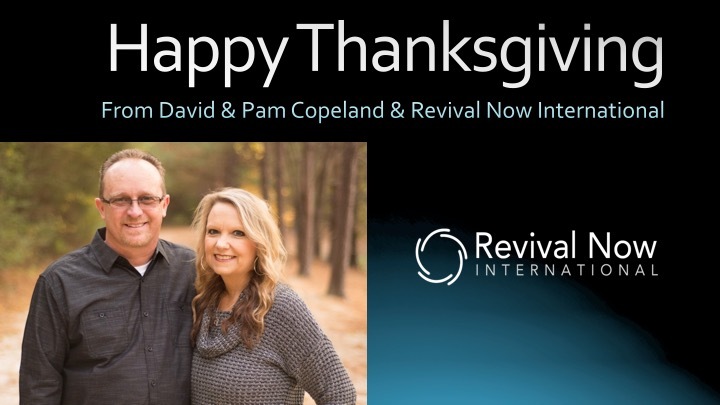 I am thankful for every partner and every church who supports us faithfully to help us carry the message of revival to the nations. And if you are reading this today…I am thankful for you! May bless us all during this upcoming Holiday Season!